If you were or are a superstar in sports you most likely made a huge sum of cash during your playing days. And Terrell Owens did. And the hall of fame wideout was not afraid to spend his money. And Owens had a ton of sports memorabilia from his playing days and without enough room in his house for them he placed them in a storage unit. 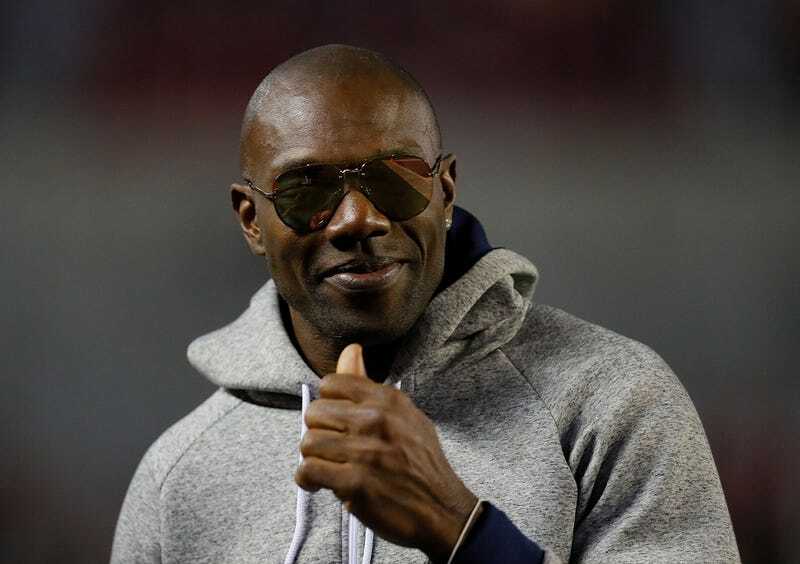 Some random dude in Georgia just made off with a bunch of Terrell Owens‘ awesome NFL memorabilia … snatching up the Hall of Famer’s storage unit at an auction … and now TO is scrambling to get it back. TMZ Sports has learned … items in Owens’ old storage unit in Atlanta were auctioned off after he stopped making payments to the company. The stuff is really cool — a custom bust of TO, old playbooks, autographed helmets, cleats, and even a copy of an NDA that we’re assuming the NFLer gave to people at parties. Furthermore, Owens is upset a heads up wasn’t given before his valuables were sold, and is VERY interested in getting in contact with the current owner to reclaim his memories. The man who bought all the stuff, James Rice of Jan’s Used Furniture in Griffin, GA, tells us he’s more than willing to give it back to its rightful owner.